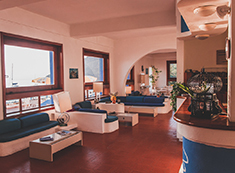 3 star resort hotel on the Aeolian island of Filicudi offering great rates and a full complement of services and facilities. Spectacular panoramic terrace bar and restaurant looking out at the Aeolian Island chain off the north coast of Sicily. Excursions to local nature reserve, snorkelling, fully equipped private beach and bar exclusive to hotel guests. TTop quality in house restaurant with exclusive winelist including local DOC wines and specialising in Aeolian cuisine. Just a few paces from the ferry landing on the eastern side of the island of Filicudi, overlooking the sea and other islands. 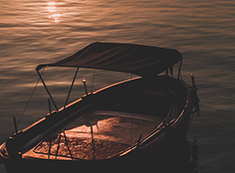 Yacht Charter with a skipper, daily sailing from Marina di Portorosa (Furnari)ME to Eolie Island; for information on yachts and related costs, contact the hotel. Hotel Phenicusa Filicudi offers a great 3 star accommodation package for your resort holiday in the heart of the Mediterranean. If you get tired of taking in the rays on our private beach you can go on excursions to the local nature reserve or cool off underwater while snorkelling in the waters around the island. The bar and restaurant of the 3 star Hotel Phenicusa Filicudi overlooks the sea and the other islands in the chain. Whether it’s breakfast, lunch or dinner or even an in-between-time aperitivo, our spacious public areas are a great place to soak up the atmosphere or hold your private event.